As spring quickly approaches; you’ll find the fresh air and warmer days create an upswing in the Salt Lake City Real Estate market. If you’ve been considering selling your Salt Lake City home this year; now is a great time to prepare your home to do so! Even if you feel that your home is in great condition; you’ll want to make sure it’s freshened up and ready for the steady stream of buyers that the spring market brings. The national housing marketing is leaning slightly towards buyers, which means your home needs to be in top shape to compete in today’s market. Don’t feel that you have to make major updates before selling your home however, as even the smallest changes can make a large difference. You want to make sure that your home is at least up to par with those homes for sale in the surrounding area. If most homes in your area have granite countertops; you’ll want to follow suite, but don’t go overboard. Italian marble may be beautiful, but if your home is so overdone that it no longer fits your Salt Lake City neighborhood chances are you won’t get the return on investment for which you were hoping. Below are five key projects that will enhance your home, provide a better return on investment and draw in Salt Lake City home buyers. 1. Revive the Kitchen- The kitchen is one of the most important rooms for those looking to buy in the Salt Lake City area. 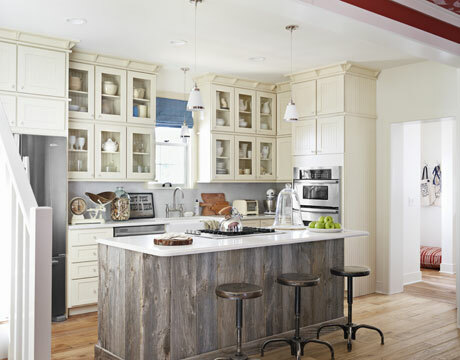 Think through some of the small changes you can make to a kitchen, from a fresh coat of paint to changing out the hardware. Stainless steel appliances are something most buyers request, while granite is always a nice finish. Lighting can be another great update to make as it can add to the overall mood and look of your kitchen. 2. Do a Bath Remodel- While a complete overhaul of your master bathroom would have a great return on investment; this costly remodel might not be possible. Instead, update any bathroom in your home with new lighting, cabinetry or fixtures. Even replacing the bathtub or flooring will create fresh look to the space without having to redesign the entire bathroom. 3. Paint, Paint, Paint- Classic or neutral paint does not have to be boring. While you don’t want to be too dramatic with paint; this simple update can be a cost effective way to enhance a room. If you’re unsure of a color, get a professionals’ opinion. Buyers will not only notice paint color, but the savvy Salt Lake City buyer will also be aware of a bad paint job. If you’re painting skills are not up to par, your best bet is to hire a professional painter to get the job done. This update will still be an inexpensive option for making the interior of your home appealing to buyers. 4. Refurbish the Basement- Oftentimes the basement is the most wasted space in a home. Having a finished basement with an entertainment area will add value as you enhance this extra living space and give it purpose. 5. Spruce Up Curb Appeal- Whether it’s repainting the front door, adding a walkway, planting new shrubs or replacing the siding; make sure your home’s curb appeal is in top shape is vital in the Salt Lake City Real Estate market. First impressions of your home will set the tone for potential buyers. If you have questions about how to begin the home selling process; please let me know! It can seem like an overwhelming task, but taking it piece by piece and having a Salt Lake City Real Estate agent on your side who knows what will attract buyers in the area will ensure the process runs smoothly. I have years of experience in selling homes in Salt Lake City and would enjoy talking with you on how I can get your home sold! Feel free to contact me today!